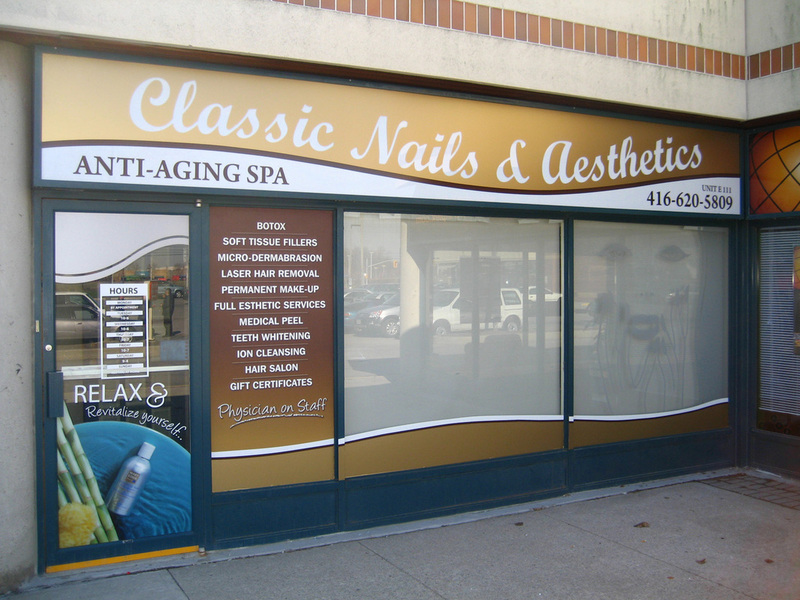 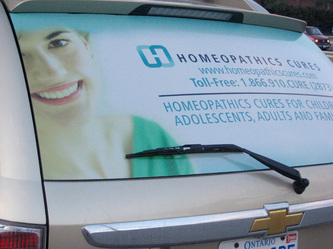 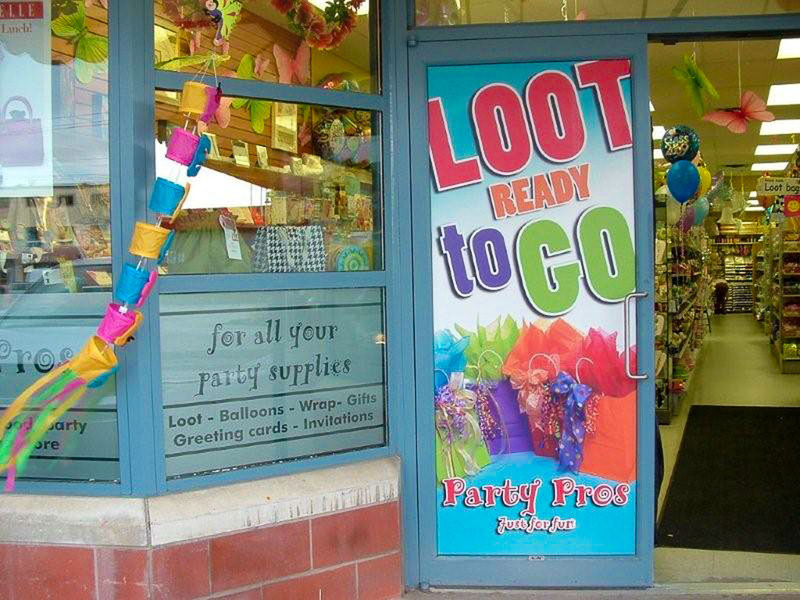 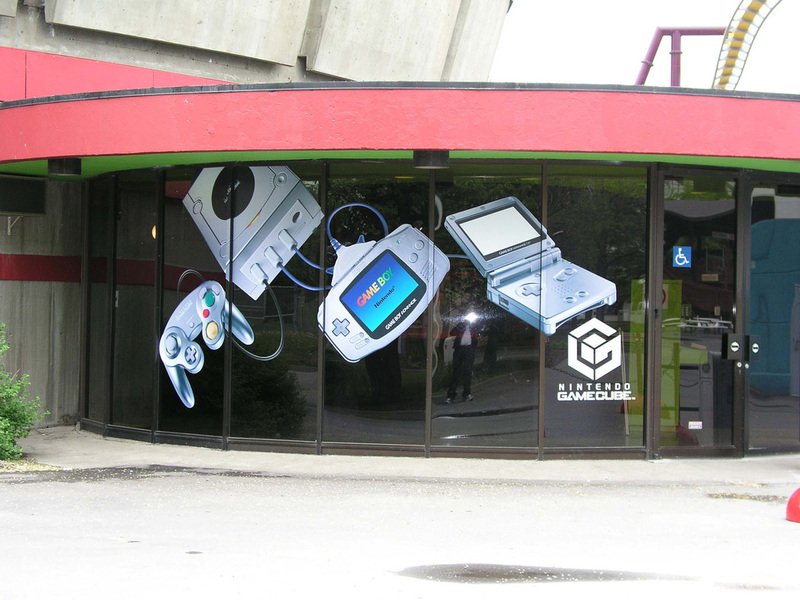 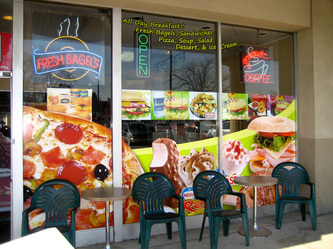 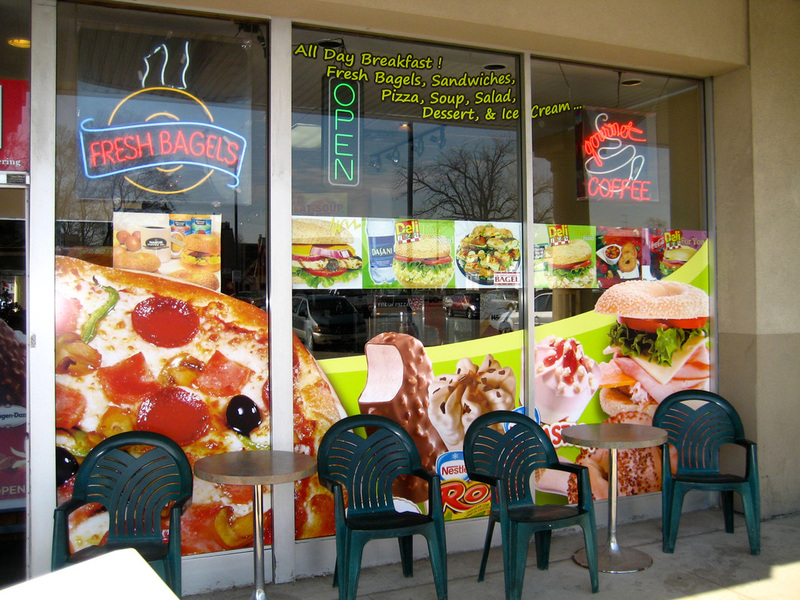 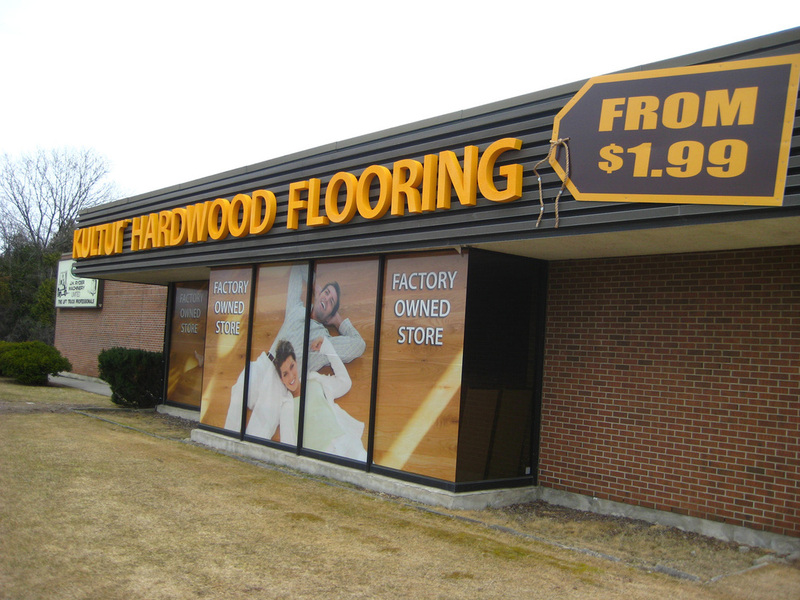 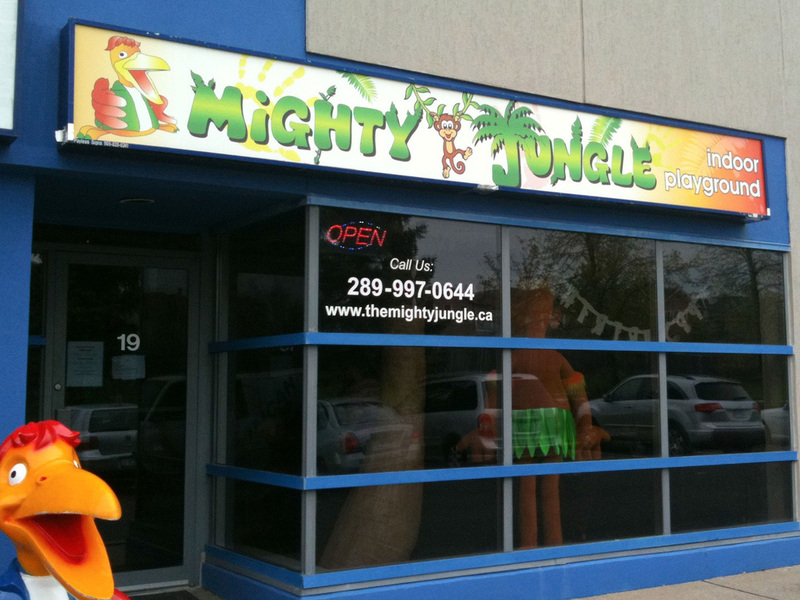 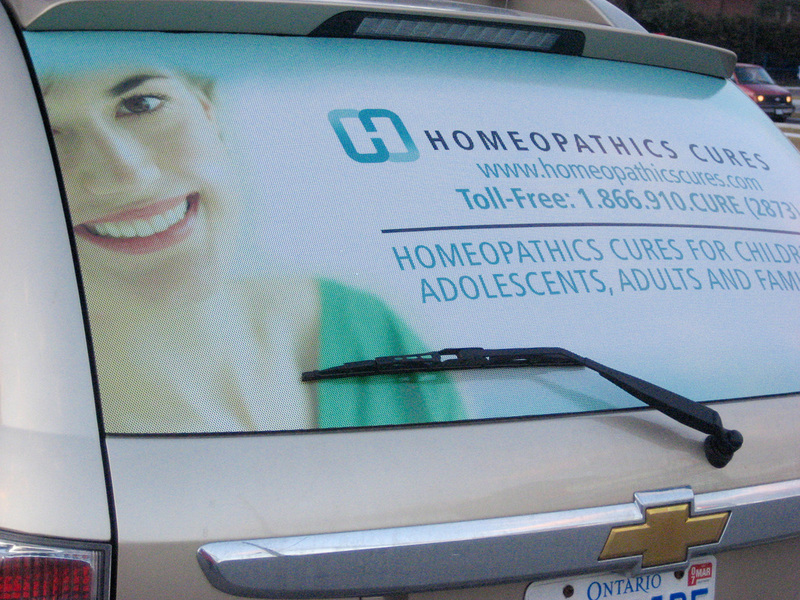 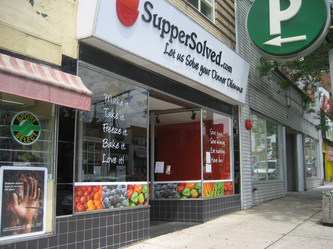 Improve the curb appeal of your business location, increase traffic and boost your sales with help of Window graphics. 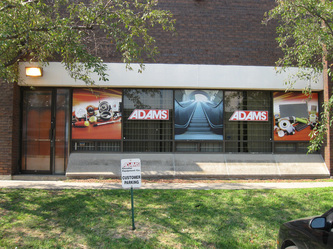 Windows are often large and eye level surfaces, which makes them ultra suitable for advertising graphics. They are signs inherently ready and very compatible with computer generated graphics. 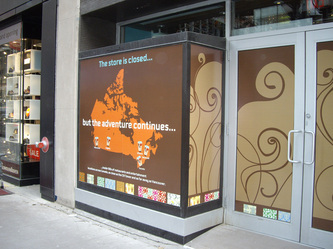 Several different graphic films are available for this type of application. 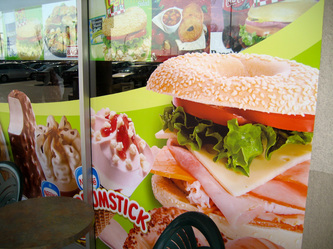 - opaque (non transparent ) vinyl. - semi transparent, perforated vinyl, which allows viewing from inside out, but looks almost solid and opaque when viewed from the outside. 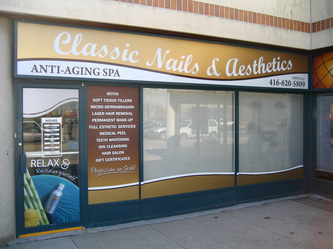 - solid (opaque) vinyl, cut into letters, logos and other graphic components for partial coverage. - specialty films, such as etched glass, metallics, fluorescent colours, etc. 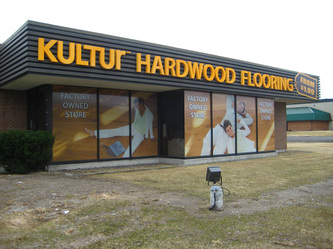 Installation is easy and removal leaves no residue or permanent marks. 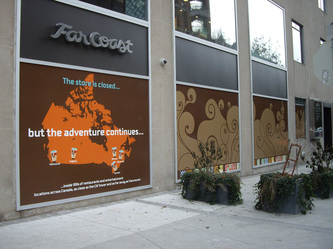 Through a Canada wide network of professional installers, we can handle the installation for you or provide you with easy to follow do-it-yourself instructions. 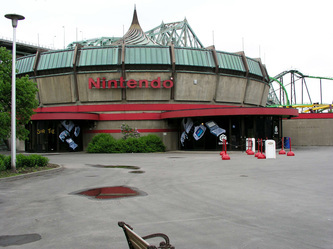 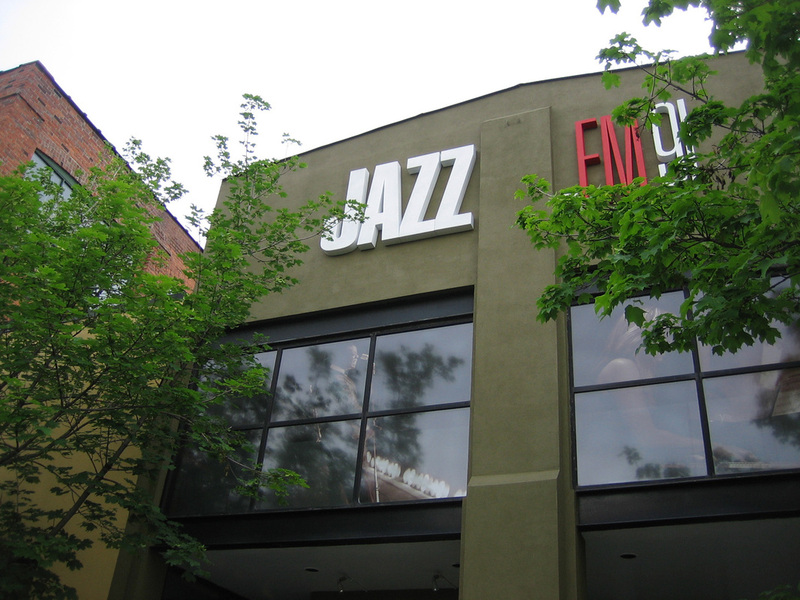 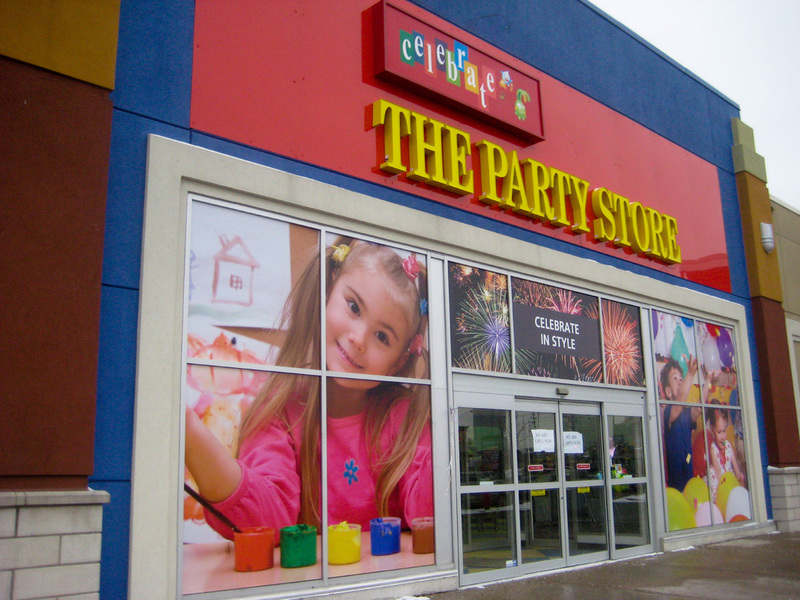 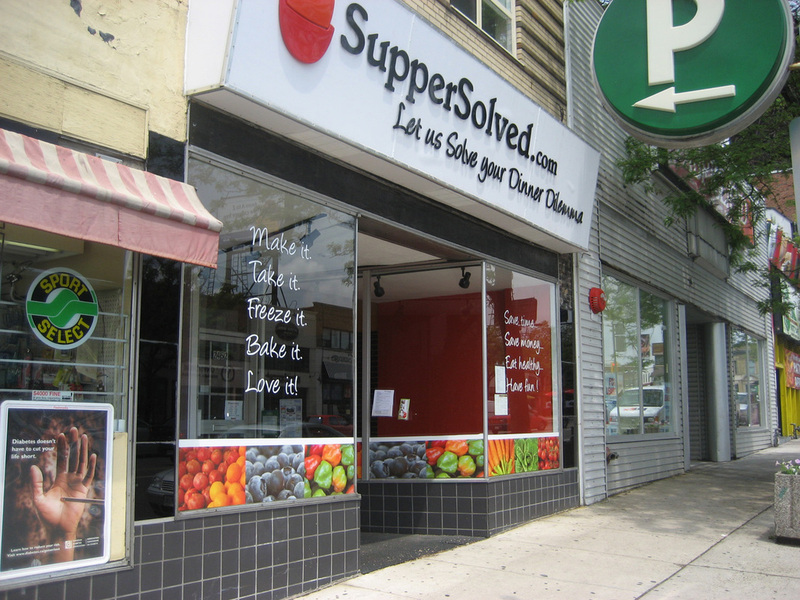 Below are few examples of past projects in Mississauga, Toronto and Oakville, Belleville and Montreal.